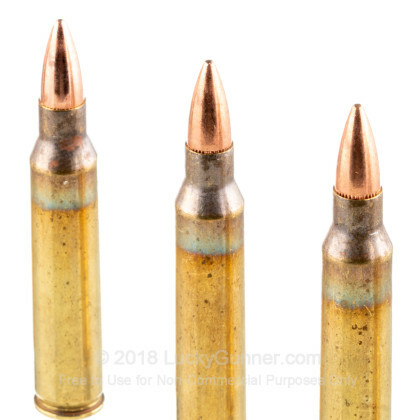 Any AR fan would tell you how easy it is to burn through a box of cartridges with their favorite rifle. It seems that your AR can never have enough ammo, but there is an ideal solution to that problem: Get more ammo. 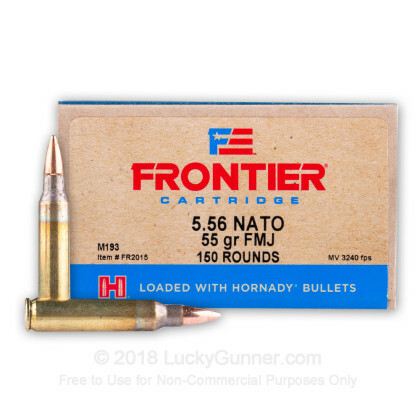 These 1,200 quality 5.56 NATO cartridges from Hornady’s Frontier line accomplish that task perfectly. This cartridge sports an M193 projectile, which is the standard for field use with the M16A1 rifle. 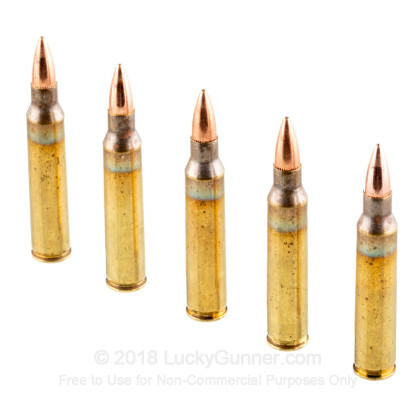 The 55 grain bullet has a gilded metal jacket around its lead alloy core, which gives it great penetrative abilities in conjunction with this cartridge’s 3,240 fps muzzle velocity. 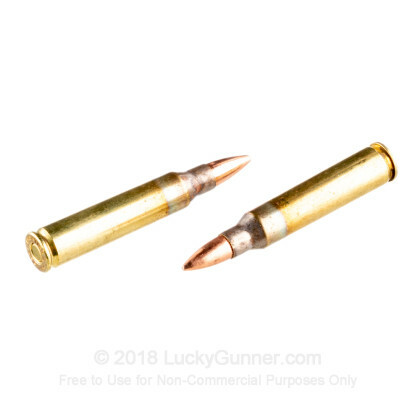 The bullet’s jacket also preserves your rifle’s bore against the kind of lead fouling that would have impacted your accuracy, making this round a great choice for long sessions at the range. 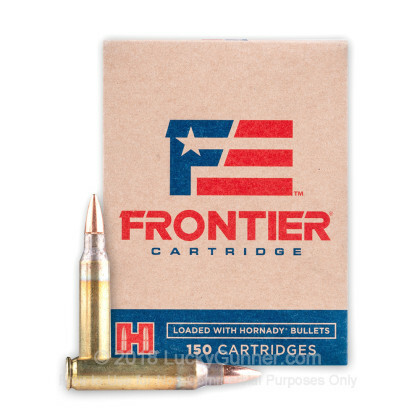 Hornady’s Frontier line of ammunition is made according to state of the industry loading techniques at the Lake City factory loaded with Hornady projectiles and stringent quality control procedures, and reflects the Nebraskan company’s seven decades of experience making quality cartridges. 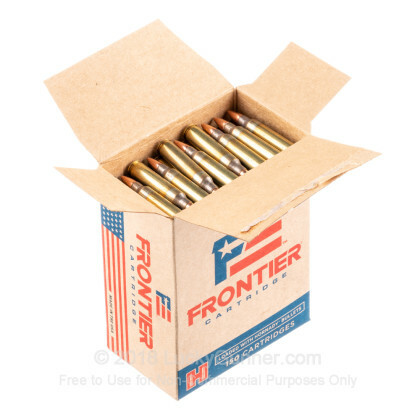 These cartridges are perfect for handloading courtesy of their brass casings, and additionally offer military grade Boxer primers and propellant.